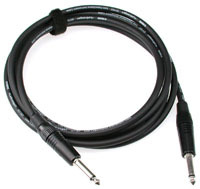 Klotz LaGrange Guitar Cable Custom length. Get a guitar cable cut to any length you choose. Price depends on length. Base price is $20 per end ($40 total for the ends) and then $3.99 per foot for any length of cable.